This is the ninety ninth part of our series on the 99 Names of Allah (s) for children.Please see Physicians of the Heart: A Sufi View of the Ninety-Nine Names of Allah for more information about each name in this project if you would like to know more. 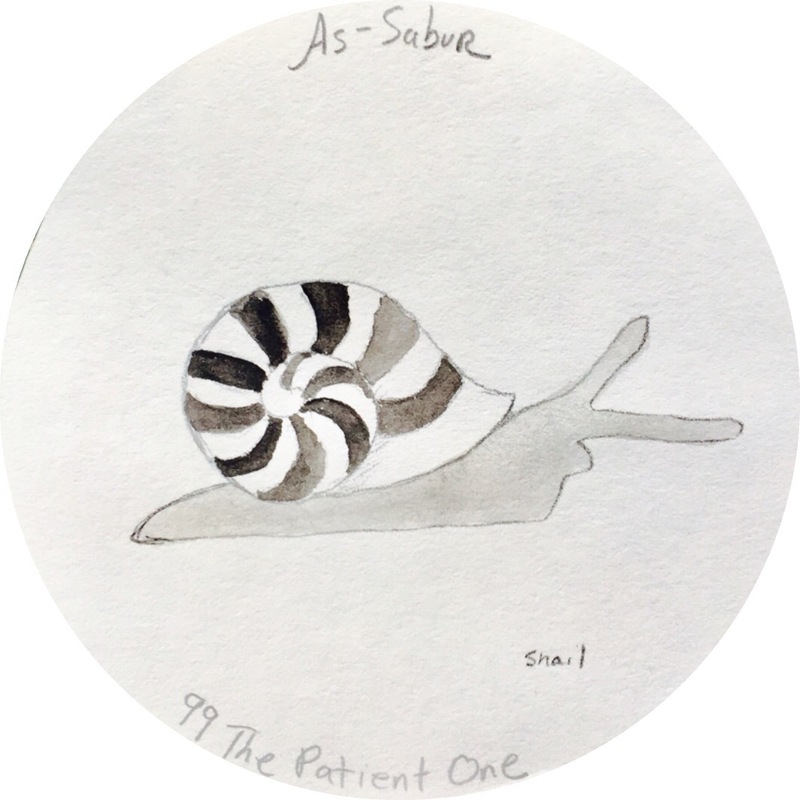 The name Sabur can mean to see things through to the end, to persevere to the end of a trail, or to endure or not complain. The name can also mean that God defers judgement. The recitation of this name helps you to endure a long journey and allows you to stand firm. What does it mean to persevere? How do you motivate yourself to continue when you are on a long journey? What is better than complaining when you experience a struggle? Please share your ideas for teaching children about the 99 Names of Allah (s).